The Martian winter began to grip Endeavour Crater in September, slowing the pace of the Mars Exploration Rovers mission. But Opportunity braved the brutal cold in Perseverance Valley and followed her commands to visually document everything in sight with images, and even check out a couple of pebbles up close. The veteran robot field geologist is on a small rise along the southern ‘wall’ or side of the valley, which cuts into the western rim of Endeavour at Cape Byron. Opportunity drove onto the slope, at the end of August. The second of seven planned science stops on a route that extends from the top to the bottom of the valley and the interior of Endeavour Crater, the site is about a third of the way down the valley. Known simply as station 2, it’s where the rover would spend the month of September. “Winter is setting in and we’re getting cold,” said MER Chief of Engineering Bill Nelson, of the Jet Propulsion Laboratory (JPL), the NASA center that has produced all of the American Mars rovers. Opportunity spent the month of September inside Perseverance Valley, at station 2, taking dozens of images with her stereo Panoramic Camera (Pancam) and Navigation Camera (Navcam). The images will eventually be combined with all the other images the rover will take during her tour of the valley to create a digital elevation model for the scientists to use to determine what exactly formed this unique geologic feature. Opportunity is producing enough energy to survive and to work, but she’s had to use a lot of that energy just to keep warm. 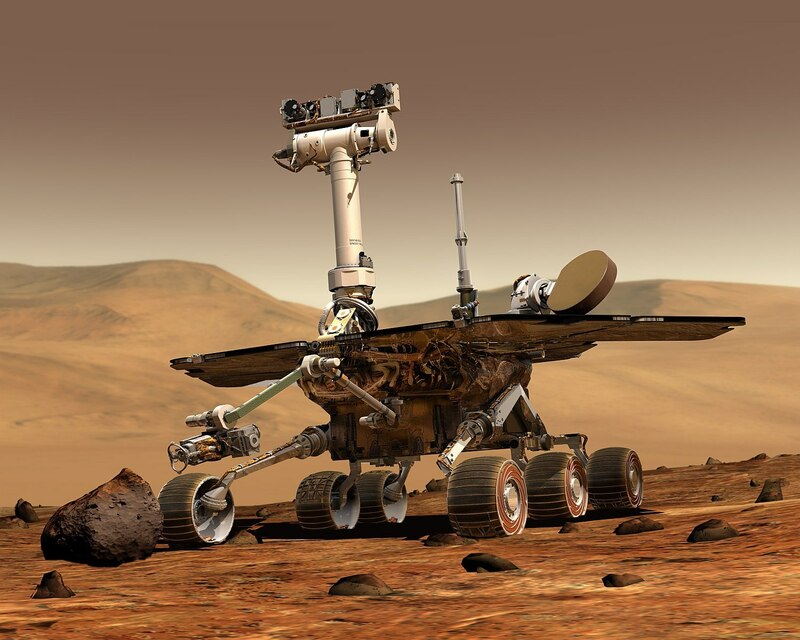 The robot’s two rechargeable lithium ion [Li-ion] batteries, which provide energy for the rover when the Sun isn’t shining, are in effect her heartbeat. That heartbeat is being strained and the depths of the season are still ahead. The winter solstice in the southern hemisphere of Mars where Endeavour and this rover are located won’t occur until November 19th or 20th depending on where you live on Earth. The day of the least amount of sunshine, what planetary scientists call minimum insolation, falls on Halloween. But that’s not as spooky as just how cold it is at Endeavour right now. Mars has four seasons, just like Earth. But the seasons on Mars are about twice as long and during winter outside temperatures on the Red Planet in recent weeks have been plummeting from cold to “damn cold,” as MER Project Manager John Callas, of JPL, defined it. Model predictions of the rover’s external wall indicate Opportunity in September likely felt the freeze of minus-90 degrees Celsius [minus-130 degrees Fahrenheit], wind chill not factored. It got so cold that the MER ops engineers huddled in September to come up with a plan to deploy a back-up, never-before-used battery heater to help out their robot colleague in the Martian field. Opportunity, true to her MER personality, pressed on. The MER team’s science objective on this, its tenth extended mission, is to study the morphology or the shape and form of this valley. That translates, for the rover, into an imaging campaign. So, Opportunity’s objective is to take dozens of images at each stop along the route. At the end of the journey, the rover’s collection of image data will be used to produce a three-dimensional digital elevation model. 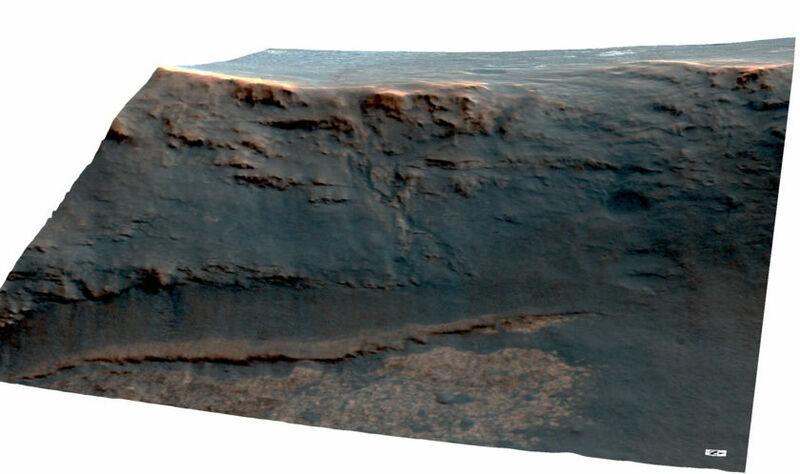 Then, using that model along with other data, the MER scientists will piece together clues and determine for once and for all what it was that carved this distinctive feature into the western rim of Endeavour billions of years ago. 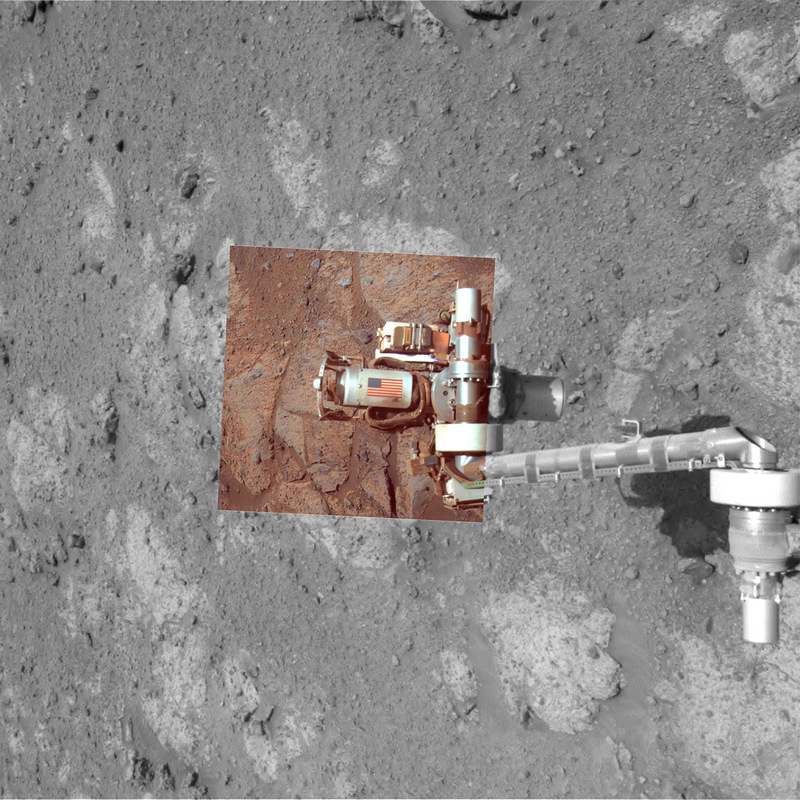 Since it is winter, Opportunity is “hopping” from one energy-favorable slope – or "lily pad" to the next, as reported in last month’s MER Update. These lily pads are sites where the terrain is tilted sufficiently to the north to maximize the amount of Sun the solar-powered rover's solar panels takes in. The strategy, which has been used nearly every Martian winter since 2005, worked well through September, with the rover producing a little less than one-third her capability in 2004 on landing with clean solar arrays, enough to drive and work. Despite the increasingly brutal cold, Opportunity was able to keep herself warm and work, at least a bit. But rove she did not. “The last drive was on 4836 (August 31, 2017) and we haven't moved since,” lamented Rover Planner Paolo Bellutta, who charts Opportunity’s paths. “We have plenty of power to survive, and to drive, it is just the combination of lack of flash [long-term] memory and the late [after sunset] Odyssey passes that are making things more difficult,” he said. The realities cannot be ignored and now are part of the territory. In addition to the cold that is impacting the stamina of her battery power, the rover lost the use of her long-term memory, her Flash drive, nearly two years ago and is working in RAM mode. Since RAM is volatile memory, the data disappears when the rover shuts down, so the robot has to off-load all the work from each sol or Martian day to one of the Mars orbiters before she goes to sleep each night. The challenge is that the Mars Odyssey orbiter, the rover’s primary communication link to Earth, circles by late in the Martian day, after sunset. That means the rover has to work and then stay awake until the orbiter comes into view. It all takes energy, especially in winter. So, when the rover must wait for Odyssey, she starts her workday later. The rub: late afternoon is not always a great time to be taking images. Stuart Atkinson processed this view from inside Perseverance Valley from the raw images that Opportunity sent home in early September 2017. 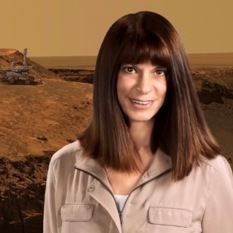 An author, astronomy outreach educator, and contributor to The Planetary Society’s Amateur Space Images Archive, Atkinson has followed the rover’s journey for years in The Road to Endeavour. All Martian winters tough and so it’s hard to say right now where this one ranks. Myriad factors are involved, though the reality that Opportunity is two years older than she was during the last Martian winter has to be considered. Nevertheless, the cold of this winter may be one for books. There are good reasons for optimism the pace will pick back up soon. If all goes as designed and planned, the rover may soon turn on the battery heater. And, the mission has acquired more Mars Reconnaissance Orbiter passes, which come by much earlier in the day, enabling the rover to add to the workflow. And there’s more. Truth told, they’re in no rush, not yet anyway. This winter being what it is, Opportunity needs to stay on Sun-facing slopes probably for the next three to four months to maintain the energy needed to keep going. And in these parts on Mars, the southern wall of Perseverance is the only place where power friendly slopes can be found. Given that it’s winter, September 2017 wound up to be the kind of work-and-recharge kind of winter month where no news is probably good news. The golf-cart-sized robot that has forever aimed to please just kept working as much as she could through the winter chill, succeeding, however slowly, in advancing the mission’s science objectives. “Pancam imaging continues to go extremely well, cameras are healthy and calibration continues to hold,” reported Planetary Society President Jim Bell, Pancam Lead, of Arizona State University (ASU). On that Tuesday morning in 2001, members of a Honeybee Robotics team were arriving at the company’s building on Elizabeth Street in Manhattan to work on the MERs’ rock abrasion tools (RATs). The company’s founder and chairman, a member of the MER Science Team, Stephen Gorevan, was riding his bicycle to work. Just six blocks from the World Trade Center, he heard the airliner hit the first tower. For the rest of the day, he and the Honeybee workforce watched, feeling helpless, from the roof of their building, less than two miles away. In the weeks and months following, trucks loaded with debris from the explosion rumbled through Lower Manhattan every day. Steve Kondos, then a JPL engineer working closely with the Honeybee team, wondered if it might be possible to include something, emplace something on Spirit and Opportunity as a kind of interplanetary memorial? Gorevan reached out and a very cool collaboration began. On December 1, 2001, a parcel from the NYC Mayor’s Office arrived at Honeybee. Inside were twisted pieces of metal and a note confirming the pieces were debris from Tower 1 and Tower 2. Company engineer Tom Myrick proposed machining the aluminum into the cable shields for the tools that they were making for Spirit and Opportunity. Honeybee enlisted a machining shop in Round Rock, Texas that was working on other components of the rover rock grinders and Myrick flew there with the metal debris. Back in New York, finished shields in hand, Myrick affixed an image of the American flag on each. “The rovers and the memorials they carry truly represent the best of humanity,” said Fraeman, who was in the ninth grade that day, in a high school, just miles from the Pentagon. She would grow up with and onto the MER mission, first as a Planetary Society Student Astronaut working briefly on the start of the action, then as a grad student, when she served as the mission documentarian and part of the team responsible for capturing the now historical image of the flag-draped shield on Opportunity for the 10th anniversary in 2011. For the MER team, the shields, ingenious in the repurposing, remain deeply meaningful. Next time you turn on the television and see images or hear news that makes your heart sink or your gut wrench, consider a thought experiment to another world where the best of humanity is still roving along. Get up a couple hours before dawn, go outside and take in a Marsrise. There, on that peaceful, desolate planet is an explorer from Earth created and built by some pretty thoughtful, caring human colleagues who designed this golf-cart-sized machine to simply go forth, explore new places, and learn something new. Consider too the fact that the rovers and the little flag-draped, metal shields, the 9/11 memorials they carry, could remain in good “used” condition for many years after all of us on Earth now are long gone. Millions of years in fact. Millions of years after the trials and tribulations among the peoples of planet Earth in the early 2000s were somehow resolved. This classic ‘promo’ image of the MER model shows a model of the robot field geologist reaching out with her Rock Abrasion Tool (RAT), the instrument she uses to grind into rocks and which features a shield fashioned by metal resurrected from 9/11. In September, the MER ops team at JPL took a “team-building field trip,” as MER Project Manager John Callas described it. The theme was “Innovation in Pasadena” and their first stop: Honeybee Robotics’ in Pasadena for a two-hour tour. When September 2017 dawned at Endeavour Crater, Opportunity, with 45.02 kilometers (27.97 miles) on her odometer, was beginning work at the second station or science stop on her journey through Perseverance Valley. She had just backed onto the slope at the end of August after driving right by it. The plan for September at this site was the same as it would be for every one of the planned science stops Opportunity would make as she drove from the top of the valley to the bottom: take extensive color Pancam pictures and Navcam panoramas and, when power permitted, check out any interesting targets within reach with her Microscopic Imager and her chemical analyzing APXS. Winter put the freeze on some of the robot’s work agenda though and Opportunity spent the first sols of September, from 4837-4839 (September 1-3, 2017) recharging. 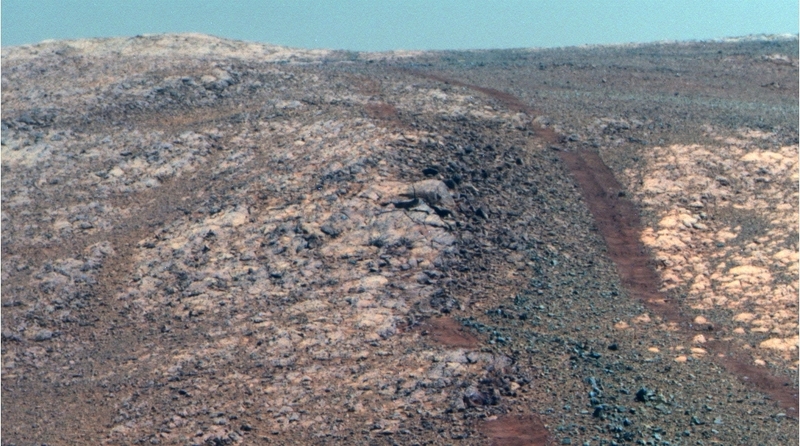 During the first week in September 2017, Opportunity took the raw images that Stuart Atkinson then processed into this near true color view of part of Perseverance Valley. The rover and the MER scientists are currently studying this unique geological formation that cuts east to west into the western rim of the 22-kilometer (13.7-mile) diameter Endeavour Crater to try and determine how it formed. On Sol 4840 (September 4, 2017), the robot woke up and got to work. She used her Pancam to take a Tau measurement to monitor the atmospheric opacity and to begin taking pictures toward the east for the digital elevation model project. The rover also used her Navcam to take a complete 360 panorama, as well as some images of the tracks she has left in the Martian terrain. Opportunity worked through the first week of the month and into the second week on collecting more of the dozens of Pancam images she would take of the view eastward. She took a break Sol 4845 (September 9, 2017) to recharge and them got back to focusing her Pancam eastward or toward the bottom of the crater and interior of Endeavour Crater. Positioned as she was on a 12-degree slope, the solar-powered robot was basking in the Sun and producing 285 watt-hours, a respectable amount of energy for wintertime given her solar array dust factor continued to hover around 0.507. The Tau did drop to 0.533, some of which was because of the recalibration that MER Science Team member Mark Lemmon, of Texas A&M University, did in August and some because the sky had cleared a bit, as happens during the winter season. On Sol 4847 (September 11, 2017), Opportunity successfully conducted a robotic arm salute, raising her Instrument Deployment Device (IDD) in preparation for an attempt to place the APXS down on a ground target. Then the rover continued her imaging assignments. Opportunity took another day to recharge on Sol 4849 (September 13, 2017) and on the following sol wrapped the second week of September shooting part of a stereo panorama. On Sol 4851 (September 15, 2017), the robot took the pictures needed for an MI mosaic and then used her IDD to set up for an early morning test of the APXS. The scientists wanted to see if the rover could glean chemical data in the early morning hours from a pebble the team named Albuquerque, after a stop on El Camino Real de Tierra Adentro (The Royal Road of the Interior Land). The MER team began the new naming theme when Opportunity entered Perseverance in July, and so the targets are each being named after stops along this old, 2,560-kilometer (about 1,591-mile) trade route between Mexico City and San Juan Pueblo, New Mexico. These images show the routes that Opportunity took from her landing in Eagle Crater to Endeavour Crater, and then along the western rim of Endeavour Crater from Cape Tribulation to Perseverance Valley. The rover drove deeper into Perseverance, locatd in the Cape Byron segment of the crater rim, in late August and then spent September shooting the views all around her. The High Resolution Imaging Science Experiment (HiRISE) camera onboard the Mars Reconnaissance Orbiter (MRO) took the base images for these graphics. Larry Crumpler, a member of the MER science team, provided the annotations. Winter continued to constrain the rover’s activity as September wore on. Opportunity took another recharge sol on 4852 (September 16, 2017). The next morning, she put her APXS down on Albuquerque for a while, and then went back to recharging. In the early morning 4854 (September 18, 2017), Opportunity took another early morning APXS integration on Albuquerque. “We ran that the test from 07:40 a.m., local Mars time to 12:20 p.m.,” said Nelson. Opportunity spent the rest of her workday shooting more pictures for the Pancam stereo panorama and filling out a dataset that will go into the digital elevation model of this location in the Perseverance. The APXS morning integration tests revealed that Opportunity could successfully collect good quality data during an early winter early morning and not just late at night when the robot has almost always completed these chemical analysis measurements of targets. However, there’s a wrinkle. Opportunity spent sol 4854 (September 19, 2017) recharging and then took a nap while her APXS worked on the late night integration on Albuquerque. The rover’s computer or CPU [central processing unit] draws very little current while the APXS is busy working. The following morning, September 20, 2017, the MER team read out the APXS data from the night before and then commanded the rover to conduct another post Odyssey integration. “That was a pretty light sol,” said Nelson. Since the APXS can operate independently from rover’s CPU and since it has non-volatile memory in which it stores data collected, the team can operate the instrument when the rover’s computer is napping. They can also allow the rover to completely shut down and then retrieve the APXS analyses the next morning from the instrument’s memory, and move it to the rover’s RAM for downlinking to Earth. 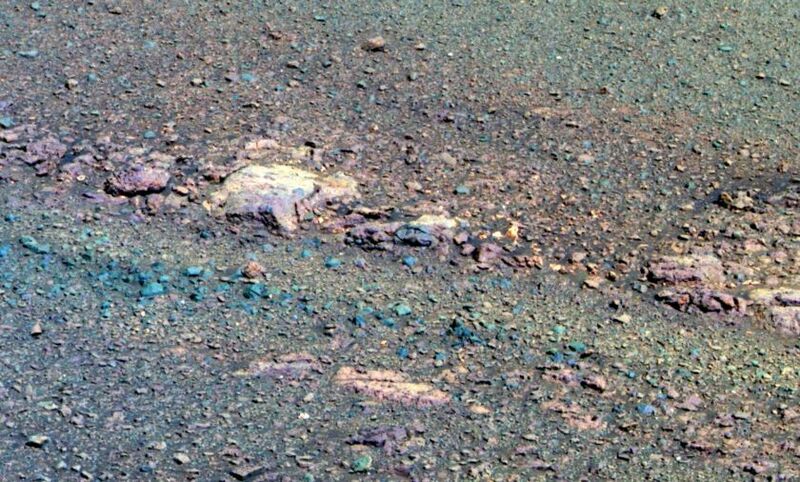 Opportunity spent 9/11 this year taking images of this bedrock target, which the team named Taos, after the New Mexico town. The Pancam team at Arizona State University (ASU) processed the raw images the rover sent home into this false color version, a technique that enables the scientists to better discern various constituents pictured. Opportunity ended the third week of the month on Sol 4856 (September 21, 2017), using her Pancam to take a Tau, reading out the previous evening’s APXS data, and then shooting close-ups of a ground target mosaics with her MI. As the fourth week of September got underway, the robot put in another fairly full day on Sol 4857 (September 22, 2017), taking MI stereo images an off-set target, a little pebble the team named Bernalillo, after the New Mexico town, renowned apparently for its good chili, as the story goes. The robot then did another post-Odyssey-pass integration APXS on the same target. Following another quiet day of recharging, Opportunity spent Sol 4859 (September 24, 2017) reading out APXS data and shooting some more pictures. The robot spent Sol 4860 recharging, and on the following sol did some light imaging and continued APXS analysis on Bernalillo. The rover and her team read out the previous night’s APXS analysis on Sol 4862 (September 27, 2017), then Opportunity took some more mosaic pictures with the MI, and imaged some other nearby targets, including a half-frame uphill and half-frame of a target called Socorro, topping all that with another late night APXS integration on Bernalillo. “We’re geriatric and amnesiac and we take naps and the only data we get back is the data we acquire just before a pass,” Golombek said in summing September. Despite the winter cold and the power issues however, Opportunity made respectable progress in surveying the valley from this, the second way station and the outlook is getting brighter. As September progressed, Opportunity, in addition to taking pictures of her surroundings inside Perseverance Valley, managed to check out two nearby targets within reach of her Instrument Deployment Device (IDD) or robotic arm despite the onset of winter and the brutal cold temperatures that it brought to Endeavour. Both Albuquerque (left) and Bernalillo are pebbles that could harbor secrets of past water. Time will tell. Halloween and minimum insolation is just a month away, and winter solstice will follow that three weeks later, at 1:44 UTC November 20, 2017. Meanwhile, the MER mission succeeded in acquiring some additional communication passes with the Mars Reconnaissance Orbiter (MRO), which happen earlier in the Martian day. “That helps for power and image quality, because we can take images earlier in the day,” noted Bellutta. “It’s been a challenge having to dedicate so many sols to recharging,” Callas admitted. “The added MRO passes though are already beginning to help. Previously, we had four recharge sols out of seven, and then this last week we only had two recharge sols out of seven,” he noted at month’s end. This parallel Li-ion battery pack has been a true champion performing flawlessly as the heart of the MERs, just like almost every other part. However, like most everything else, including the rover herself, it is slowly degrading, like all batteries do. The diagram on the left shows the basic layout of the Mars Exploration Rovers’ suite of scientific instruments. The diagram on the right reveals the interior of the rover’s body, aka the Warm Electronics Box (WEB), which protects the rover´s brains and heart and is located just below the solar array “winglets.” It shows the location of the RAD6000 computer that serves as the robot's brain. Along with the parallel lithium ion battery pack and other electronics, it is housed in the Rover Electronics Module (REM), which sits inside the WEB protected from frigid Martian nights. It’s hard to say if this, the MER mission’s eighth Martian winter will turn out to be the toughest one for Opportunity. “This is not the dirtiest our solar panels have been this time of – that was last winter,” said Herman. “This winter does not have the dustiest sky we've seen this time of year – this winter's sky is about as dusty as any winter's sky. Something I can say is true is that we are generating less array energy per sol this winter than we did last winter or the winter before. The last winter that we averaged 280 watt-hours per sol was in Winter 4 (2009) and Winter 5 (2011). But I cannot even say that this is the lowest our array energy has been, because there is a tie for the bottom between this winter, and Winters 4 and 5,” she noted. Since Oppy’s Li-ion batteries have been running closer to -15 or so (about 5 degrees Fahrenheit), this battery heater “would bring the battery temperature up to roughly around 0 and keep the battery much warmer than it is,” said Nelson. “It’s kind of in our best interests to be taking our time and slowly make our way down the valley,” summed up Fraeman. The orbital image of the western rim of Endeavour Crater [left] shows the path Opportunity took from Cape Tribulation to Perseverance Valley, which the robot is currently exploring. The rover spent the month of September 2017 studying the valley from a science stop called, simply, station 2. 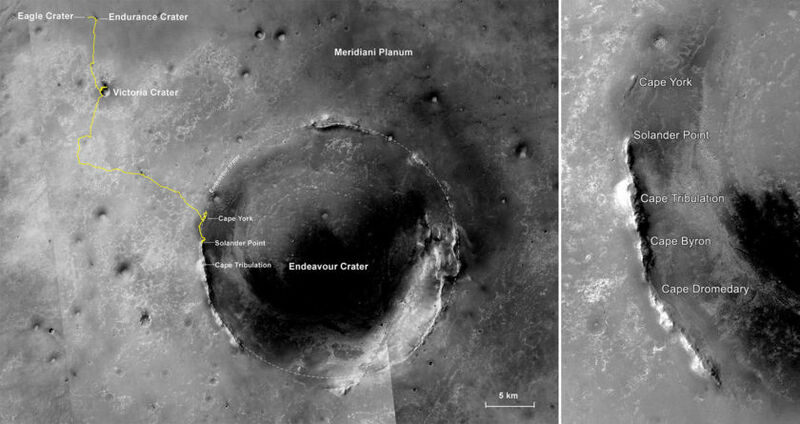 Annotations for the graphic on the right were meticulously documented by Phil Stooke, Associate Professor at the University of Western Ontario, Canada, author of The International Atlas of Mars Exploration Volumes 1 and 2, (Cambridge University Press). The base images were taken by the Context Camera [left] and the HiRISE camera [right] both onboard MRO. During the final sols of September, the team discussed the next plans for Opportunity. One option under consideration is to send the rover back uphill to an area near the first way station where the MER scientists have spotted some interesting bedrock. The team members have also been discussing sending Opportunity farther east, down the valley about 12 meters, to what ostensibly be the next science stop. But the actual decision probably won't be made until after discussion at the "End-of-Sol" meeting on Tuesday, October 3rd. Although the team settled on the new target-naming theme when Opportunity entered Perseverance in July, they have not yet named the science stops. They did however talk about it, said Golombek. “That just came up and I think we may start doing that,” he said. As September turned to October, Opportunity was still working on completing her imaging assignments at station 2 and APXS investigations into Bernalillo and an offset of that target and team members talked about what’s next. Perhaps the most important news this past month from Endeavour is that no one’s worrying about whether or not Opportunity will make it through winter – and the rover is admirably still working her little robot heart out. “I think we can be very proud of our rover,” said Nelson. “We are by no means having to just hunker down and wait things out. We still have work that we are doing and once we get the 0-degree, battery heater running that should also help quite a bit. In this image taken by the HiRISE Camera onboard MRO, Perseverance Valley is clearly visible just left of center top and below the notch or cut in the rim. This view was processed in false color and then stretched 2X VE so the MER scientists can better see the valley and the channels that branch from it. In reality, the valley is actually very shallow.